I hope everyone has had a lovely Christmas break! Sorry if I’ve been a little MIA this week, you may or may not know, but it’s been an exciting past week for me with not just the holidays but an engagement! Max proposed a week ago in a perfect spot at the Zilker Botanical Gardens in Austin and the fun continued as he whisked me away for a weekend full of exciting surprises. Perhaps I’ll write a blog post all about our adventures? Anyway, today’s post is all about TRUFFLES, and I’m totally in love with this recipe. 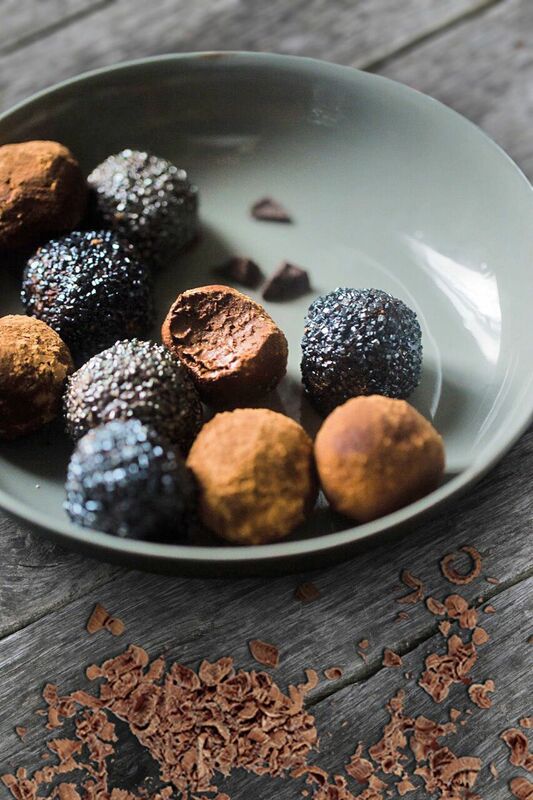 These impressive little chocolates are so simple to make and are packed with antioxidant goodness. The recipe calls for two huge cups of raw cacao powder which contains more than 300 different chemical compounds, is nearly four times the antioxidant power of dark chocolate and has over 20 times the antioxidant power of blueberries. If that’s not a good enough excuse to eat a few of these with a cup of tea, I don’t know what is! Feel free to swap in whatever sweetener you fancy. I know that many of you reading this follow a ketogenic, low-carb lifestyle, or vegan lifestyle and therefore raw honey is out of the question for you. That’s totally fine! You can use any sweetener with these little truffles, and I can assure you they will still be just as delicious. 1)	Using a food processor, blend the coconut oil, honey, vanilla extract and salt together. 2)	Add the shredded coconut ½ a cup at a time and blend until smooth. 3)	Transfer truffle mixture to a large bowl and stir in 2 cups of cacao powder. 4) Move mixture to the fridge for half an hour to slightly harden. 5)	On a separate plate, lay out the ingredients you will use to coat the truffles. 6) Remove truffle mixture from the fridge. Create small balls of chocolate and roll them in the desired topping. 7)	Keep in refrigerator to maintain firmness and enjoy!